It was only a few weeks ago that I was moaning on Twitter about the lack of decent niche masculines this year, remarking that there has been fluffing tons of beautiful, wonderful and masterful feminine and unisex fragrances in 2013 but very few impressive things on the male side of the fence. Perhaps creating decent perfumes for men is less of a priority for perfume companies nowadays. Who knows? So yes, I was having a moan when the ever-knowledgeable Nick Gilbert said that I absolutely had to try (I’m paraphrasing, of course) the latest fragrance from Huitième Art – ‘Monsieur‘. Knowing that any recommendation from M. Gilbert is worth listening to I trotted off to Les Senteurs, one of my favourite perfume boutiques, to procure a sample of the latest scent from perfumer Pierre Guillaume. 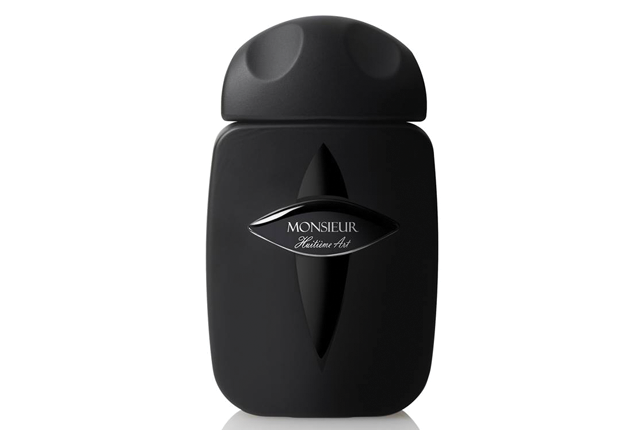 Monsieur is billed as a “harmonious blend of eight woody notes” and is inspired by the Massif de Bois Noirs, where “torrents and waterfalls from Auvergne’s mountains carry along scents of moss, bark, wood, earth, humus and stone”. What one finds with Monsieur, is that it is a fragrance that is not afraid to be bold and whilst it may not be the most unique interpretation of woods, it does showcase an interesting sense of balance that is something entirely new. 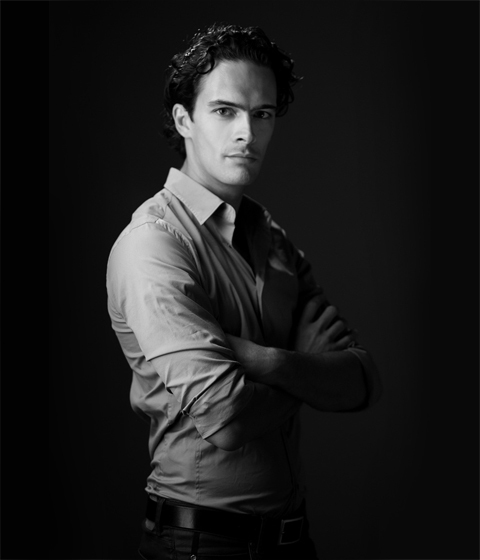 Pierre Guillaume – Not just a pretty face! What a busy boy Pierre Guillame is. Not only is he the man and the exceptionally talented nose behind the über exciting brand Parfumerie Générale, he is also responsible for brands such as Phaedon and Hutième Art. He creates for all three brands whilst managing to look effortlessly handsome. It makes you hate him just a little bit, doesn’t it? Ok, I’m just being silly, I don’t really hate Pierre Guillaume, in fact it’s quite the opposite, I have great respect for him and his fragrant vision. He has managed to craft himself a distinct style and has very much found his own little niche in the market. With Parfumerie Générale and Huitième Art, Guillaume tinkers with the most ancient and noble of ingredients, interpreting each one in new and surprising ways. Huitième Art is one Pierre Guillaume’s many projects and is a collection of 9 perfumes “showcasing an all-new ‘plant capture’, an original plant-inspired accord or natural organic ingredient” and with “an emphasis on originality and sophistication”. Each perfume is housed in one of the most fascinating flacons I have ever come across, a part-modern, part-natural ceramic cyclops intended to represent the eye looking to the future, which just so happens to be the exact same direction that M. Guillaume’s nose is pointed.